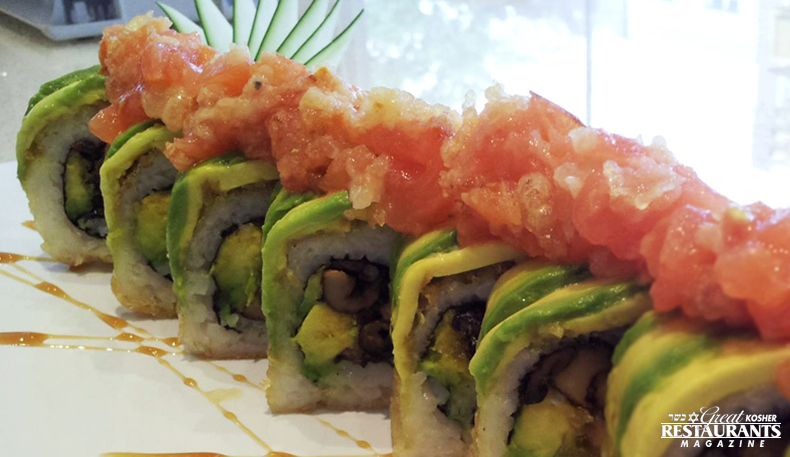 � How was your last visit to Sushi Tokyo (Lawrence)? Inspired by the Brooklyn location of same name, this chain restaurant in Lawrence, NY proves that same great food and atmosphere can travel all the way to Five Towns. Symbolic of Japan, their modern red, black and white decor follow a great fun theme giving young couples and their friends a place to enjoy. 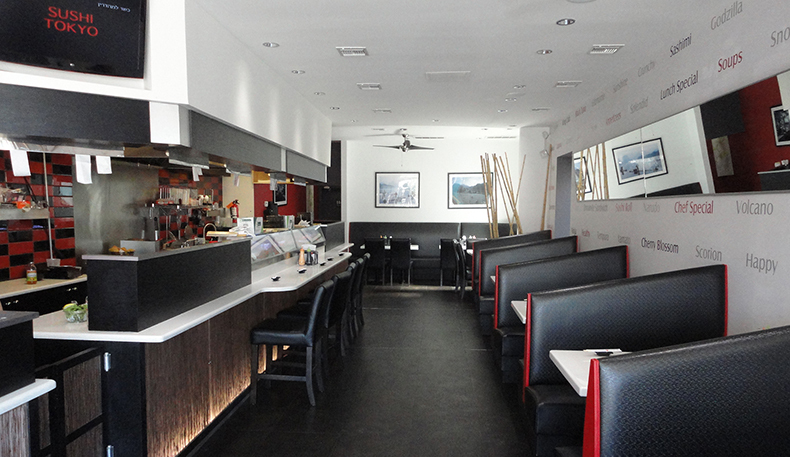 Their ambiance is one of a mix between takeout, and quick dine-in with comfortable booths and stools by their full sushi bar with lunch and dinner specials. Sushi Tokyo’s menu is color coded for your convenience by their vegetable/fruit rolls, low carb, non-raw fish, raw fish, spicy, and heart shaped rolls. 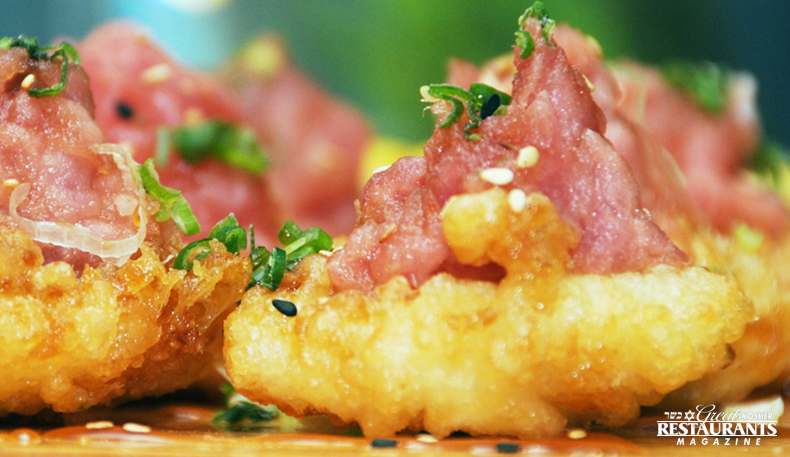 Krispy Kosara, a delicious appetizer with a great crunchy bite, as well as the Taco Sushi (lettuce, avocado, tomato, salmon, spicy tuna and sweet sauce) are highly suggested. You can then turn to their Hand Rolls, Nigiri, Sashimi, or Sushi Rolls like the Coney Roll (spicy salmon, avocado, crunch, and spicy kani). 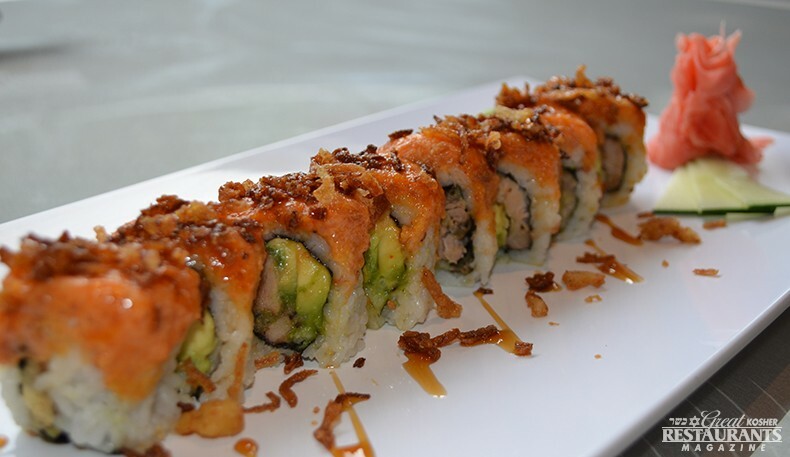 Their three main chefs, offer a number of enticing rolls (all parve) especially the most popular Leo Roll, which includes spicy tuna, crunch, spicy kani, wrapped with avocado, spicy mayo, and fried onion. Get real creative with your rolls when you go for the Yamato, consisting of spicy salmon and kani, crunch, chopped lemon, wrapped in black pepper tuna, avocado, and spicy-sweet sauce. Higher end rolls include the tempura rolls, deep fried with sweet sauce like the Splendid Roll (salmon, spicy tuna, avocado, spicy salmon, crunch, and fried onion) and Phenomenal Roll (salmon, Portobello mushroom, avocado, crunch, wrapped with avocado and tempura tomato). They even have tempura-style Dessert Roll, made with fruits, nuts and served with chocolate syrup – who said you can’t have dessert for dinner? What's great about ordering their extraordinary platters, which start at $30, is that everything is made fresh and ready within one hour! Catering services (with party platters and sushi boats) are available to customers for any occasion (Chanukah, birthdays, etc). Their typical business hours are 10am to 1am, and Saturday nights till 2am, which makes Sushi Tokyo the only but the best late night choice in the area.